The Port Times Record published this piece in print on July 28, 2016. 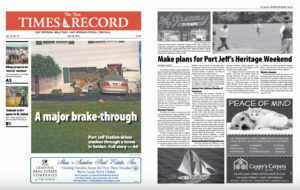 Port Jefferson Village’s second annual Heritage Weekend is fast approaching. The event features more than 15 cultural and historical locations for residents and visitors to explore on Saturday, Aug. 20, and Sunday Aug. 21. Each stop is set to include presentations with interesting information, historical photos of Drowned Meadow, as the village was previously known, and fun, interactive activities. 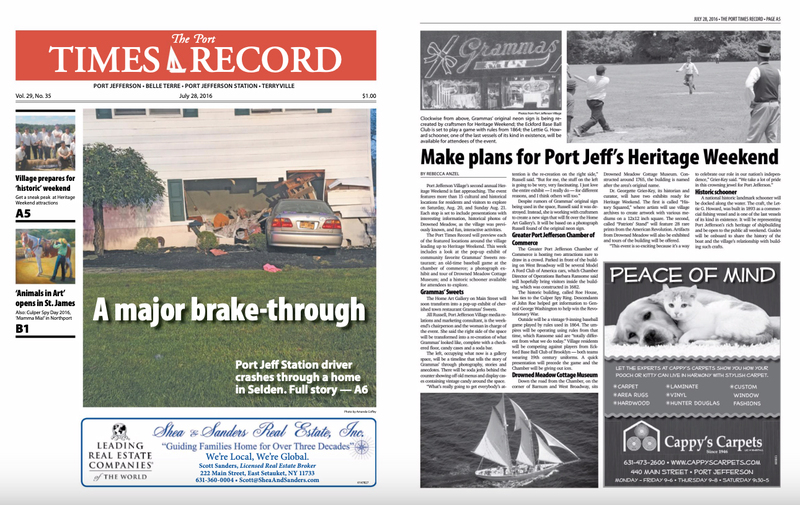 The Port Times Record will preview each of the featured locations around the village leading up to Heritage Weekend. This week includes a look at the pop-up exhibit of community favorite Grammas’ Sweets restaurant; an old-time baseball game at the chamber of commerce; a photograph exhibit and tour of Drowned Meadow Cottage Museum; and a historic schooner available for attendees to explore. 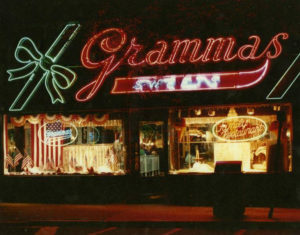 Grammas’ original neon sign is being re-created by craftsmen for Heritage Weekend. Photo from Port Jeff Village. 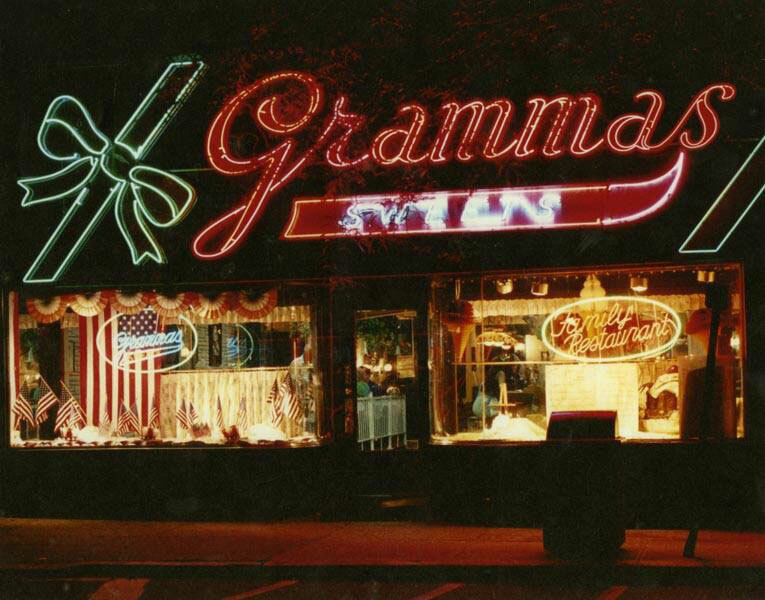 The Home Art Gallery on Main Street will soon transform into a pop-up exhibit of cherished town restaurant Grammas’ Sweets. Jill Russell, Port Jefferson Village media relations and marketing consultant, is the weekend’s chairperson and the woman in charge of the event. She said the right side of the space will be transformed into a re-creation of what Grammas’ looked like, complete with a checkered floor, candy cases and a soda bar. The left, occupying what now is a gallery space, will be a timeline that tells the story of Grammas’ through photography, stories and anecdotes. There will be soda jerks behind the counter showing off old menus and display cases containing vintage candy around the space. Despite rumors of Grammas’ original sign being used in the space, Russell said it was destroyed. Instead, she is working with the craftsmen to create a new sign that will fit over the Home Art Gallery’s. It will be based on a photograph Russell found of the original neon sign. The Eckford Base Ball Club is set to play a game with rules from 1864 during Heritage Weekend. Photo from Port Jeff Village. The Greater Port Jefferson Chamber of Commerce is hosting two attractions sure to draw in a crowd. Parked in front of the building on West Broadway will be several Model A Ford Club of America cars, which Chamber Director of Operations Barbara Ransome said will hopefully bring visitors inside the building, which was constructed in 1682. The historic building, called Roe House, has ties to the Culper Spy Ring. Descendants of John Roe helped get information to General George Washington to help win the Revolutionary War. Outside will be a vintage 9-inning baseball game played by rules used in 1864. 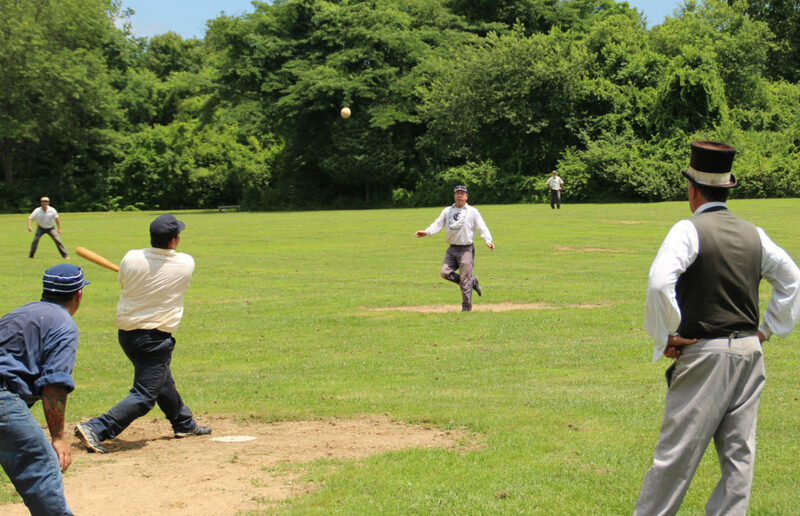 The umpires will be operating using rules from that time, which Ransome said are “totally different from what we do today.” Village residents will be competing against players from Eckford Base Ball Club of Brooklyn — both teams wearing 19th century uniforms. A quick presentation will precede the game and the Chamber will be giving out ices. Down the road from the Chamber, on the corner of Barnum and West Broadway, sits Drowned Meadow Cottage Museum. Constructed around 1765, the building is named after the area’s original name. Dr. Georgette Grier-Key, its historian and curator, will have two exhibits ready for Heritage Weekend. The first is called “History Squared,” where artists will use village archives to create artwork with various mediums on a 12×12 inch square. The second, called “Patriots’ Stand” will feature 28 rare prints from the American Revolution. Artifacts from Drowned Meadow will also be exhibited and tours of the building will be offered. 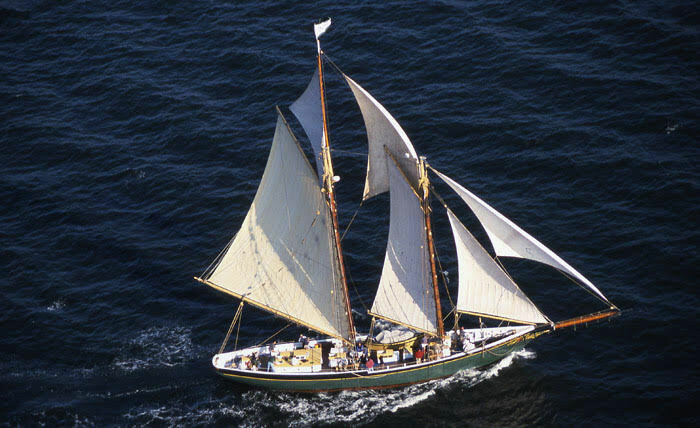 The Lettie G. Howard schooner, one of the last vessels of its kind in existence, will be available for attendees of Heritage Weekend. Photo from Port Jeff Village. A national historic landmark schooner will be docked along the water. The craft, the Lettie G. Howard, was built in 1893 as a commercial fishing vessel and is one of the last vessels of its kind in existence. It will be representing Port Jefferson’s rich heritage of shipbuilding and be open to the public all weekend. Guides will be onboard to share the history of the boat and the village’s relationship with building such crafts.